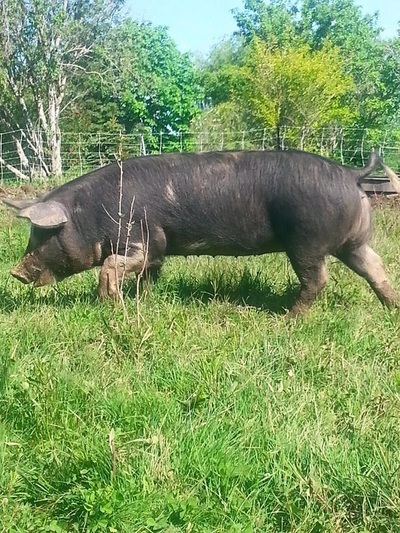 All of the pigs that are grown here are either purebred Berkshire or of a Berkshire cross. The heritage hogs at Snowy River Farms are raised on a diet of fresh grass, vegetables, fruit, bread, and non-GMO grains (as well as the occasional spent grains from our local breweries). Our herd is rotated through the woods and then finished on one of our pastures. 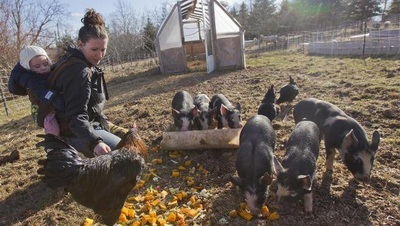 They are never given antibiotics, hormones or GEO growers. Our pigs are kept outside year round and provided with trees and huts for shelter, leaving them able to root and play as they would naturally in the wild. The Berkshires marble well producing meat which is naturally very juicy and flavorful, with exceptional texture. The Berkshire Pig is an excellent heritage breed with a taste consumers appreciate, which is why we keep them and their crosses exclusively. 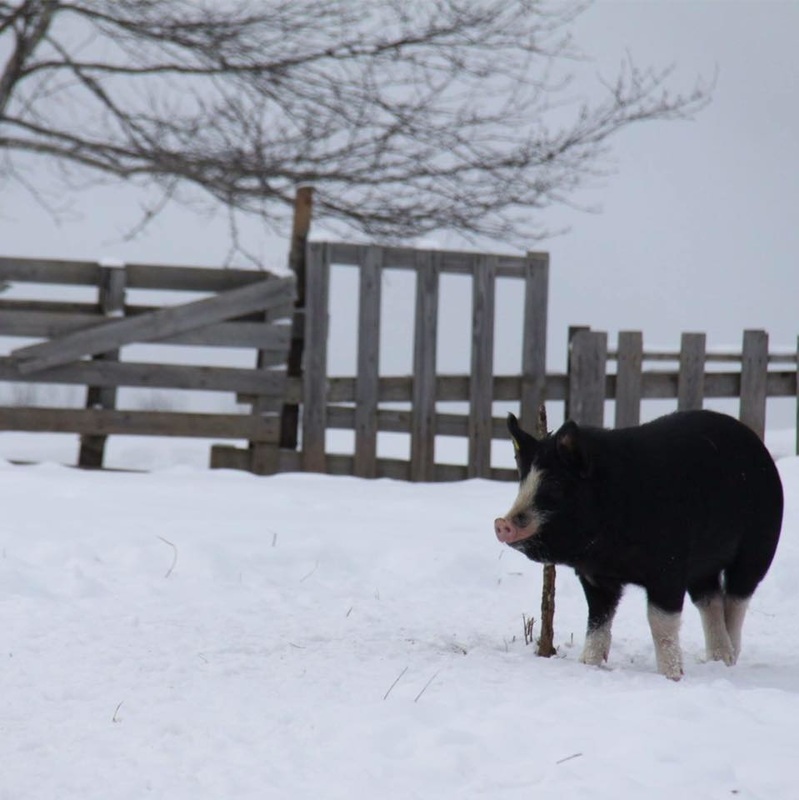 They are a hardy, pleasant natured pig which thrives in Nova Scotia's climate and are known for rolling in the snow after storms and finding the biggest mud puddle around for wallowing throughout the hot summer months.